I repeat what I said yesterday: I know, I know, January ended weeks ago. But I’ve been really distracted. I have managed to get in January’s progress before February ended. Just. Well, I did add some yarn. I added 7 balls to my stash. But I used a LOT more than that. I used up 17 balls of stash in total. Quite a bit of that went on the crocodile stitch bag and dragon egg I showed you yesterday. 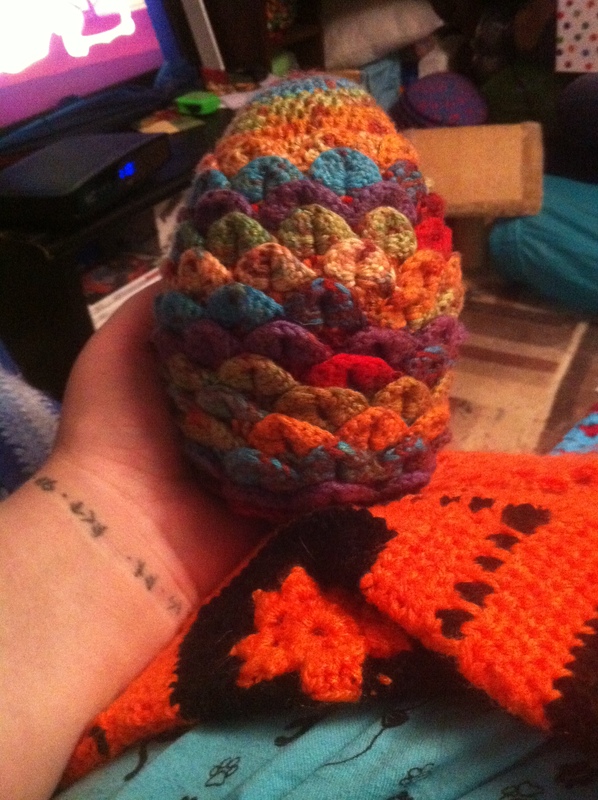 Here is the lovely dragon egg in question. As well as that, and all the other projects I finished in January, I started a scarf for my mum and made a gazillion patches for the Blanket of Many Million Patches – one of the WIPs I hope to finish this year.